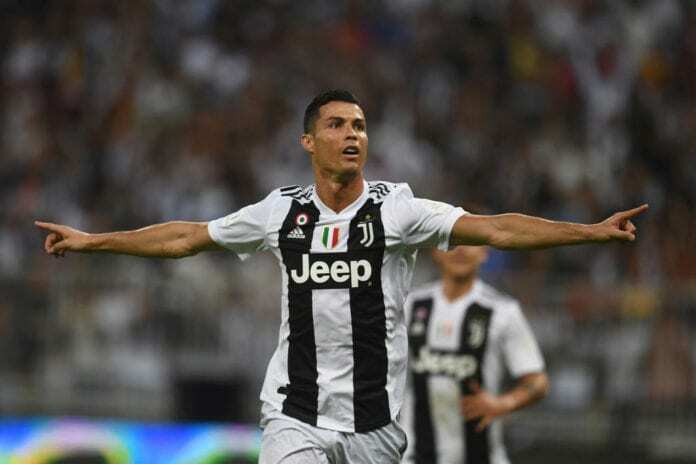 It was during the Supercoppa Italia against AC Milan, Cristiano Ronaldo scored a lone header during the second half and won his first title with Juventus. When Florentino Perez decided to let Cristiano Ronaldo leave Real Madrid and sign a new contract with Juventus, his logic was to let him go because he was in the last stages of his career but CR7 believed otherwise. The Portuguese forward took the new trip to Italian football as another personal challenge in which he would be able to silence all the people who doubted him, it didn’t really take him long to win over the hearts of not only Juventus fans, but all Italian football supporters in general. This Wednesday in a Supercoppa Italia final played in the United Arab Emirates, Cristiano Ronaldo had his first chance at revenge against all those critics and he didn’t disappoint. The Portuguese forward was the decisive factor in the match against a very defensive AC Milan, that never let their guard down throughout the 90 minutes of the game. Ronaldo attempted to score during the first half but he wasn’t able to complete the couple of chances he got to score, this overly defensive and slow match would be decided with either one lone goal or from the spot after overtime had passed. But Juventus bought Cristiano for this specific reason, they needed a player who could decide tight games like this one. Starting in the second half, Juventus began to approach AC Milan’s box more frequently and the Rossoneri pretty much let their guard up at all times by giving up on attacking. 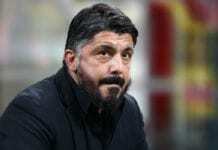 On Gennaro Gattuso’s side, Milan had youngster Lucas Paqueta as the new addition to the squad who could create chances due to his fresh creativity with the ball at his feet. The Brazilian did prove that he has the potential to become important for AC Milan in the future, but having a decisive role in this final so soon after coming to Italy proved to be a bit much for him. Already during the second half, AC Milan did seem a bit more tired than Juventus due to the massive defensive effort they made during the first half of the game. Cristiano Ronaldo had all the energy in the world, all he needed was one chance in order to change the outcome of the game. He knew that the Rossoneri were already against the ropes, he took a few more shots right after the second half started and he came really close to scoring with a potent shot but he found Donnarumma to stop his effort. But Milan was already showing signs of not having enough gas in the tank, it was only a matter of time before Juventus could get that opportunity they were looking for. Such chance came after a full hour of the game had passed, as Miralem Pjanic was able to spot Cristiano Ronaldo roaming inside the box and sent him a clinical pass that the Portuguese forward connected with a header. That chance was all that Ronaldo wanted in order to find the opening, Juventus was ahead by one goal from their top player and they weren’t going to let this advantage go. Even though Milan kept making a massive effort throughout the last half hour of the game, this final was Juventus’ to claim and thus Cristiano Ronaldo was able to lift his very first trophy for the Vecchia Signora. Hopefully, this first trophy will be the first of many for the Portuguese star and he can take Juventus all the way to the last stages of the season with many options to win all the trophies. The main target is obviously the Champions League, the main reason why Juventus paid €100 million to Real Madrid for their best player. How many more trophies will Cristiano Ronaldo win this season for Juventus? Please share your opinion in the comment section down below.